Are you a small business or startup looking to get a presence on the web? At Wolfberry Media, we work with a number of small business owners across Angus to help them build an online presence for their company. Based in Meigle, Blairgowrie we provide our extensive knowledge and expertise to help provide your business with an online platform to build and grow from. 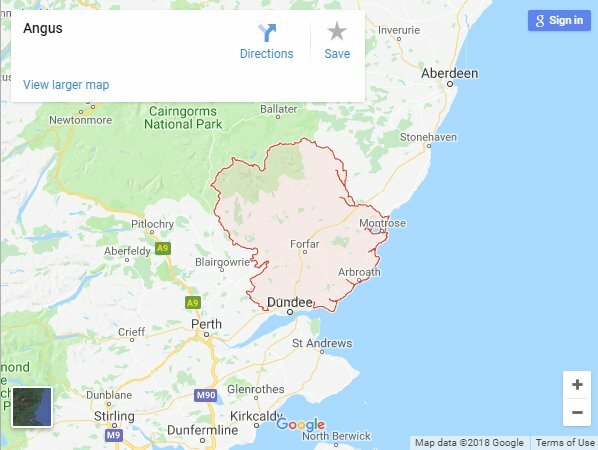 We provide web design solutions to customers across Angus, but the main areas we serve are Forfar, Kirriemuir, Arbroath, Montrose, Brechin, Carnoustie, and Glamis, with customers ranging from self-catering holiday accommodation website, oil tank installation website, tradesmen and holiday parks. We aim to provide a cost-effective solution to customers, allowing them to gain more leads and sales without having to constantly maintain and update their website. All our website are fully responsive, so they will work and look great on any device, plus we can also provide ongoing digital marketing for our clients, ensuring that they can rank well and gain more traffic to their site. An Angus based website which we built in May 2017 is Gardean Cottages, which is for a small business owner based near Kirriemuir. Sally contacted us asking for a website to be built for her 2 self-catering holiday cottages, Garden Cottage which is in Kirriemuir, Angus and Dean Cottage which is in Glamis, Angus. We finished the website June 2017, and then continued our work by performing plenty of SEO on the website, including backlink acquisition, keyword analysis, and on-page analysis. "Kieran has helped me over the past year in designing the website for my Self Catering Cottages. I have found him to be extremely helpful and am delighted with the end result. You can see the review on Google here and view our portfolio page on Gardean Cottages here.